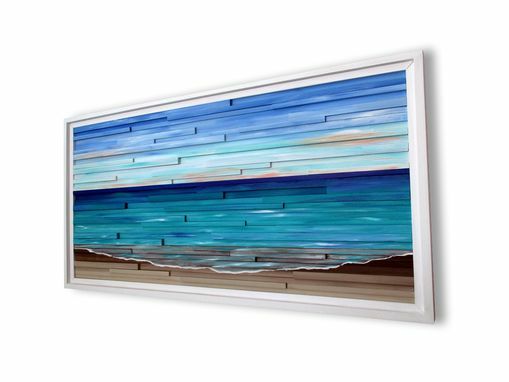 Check out this beautiful piece of wall art made entirely of wood that has then been hand painted of an abstract ocean with blue skies and water rolling up onto the beach! Definitely an eye-catcher for any wall space. Size shown in photo is 24"x48" and is ready to ship! Ships to the lower 48 states via FedEx Ground and a delivery confirmation number will be emailed to you at time of shipment.